I don't purchase much foundation because I don't usually wear it everyday, or that often. However, I recently decided to try something new, that wasn't going to cost me a fortune to do so. I used to wear a Clinique foundation targeted towards people with dry skin, but my colour was discontinued. I really liked it! 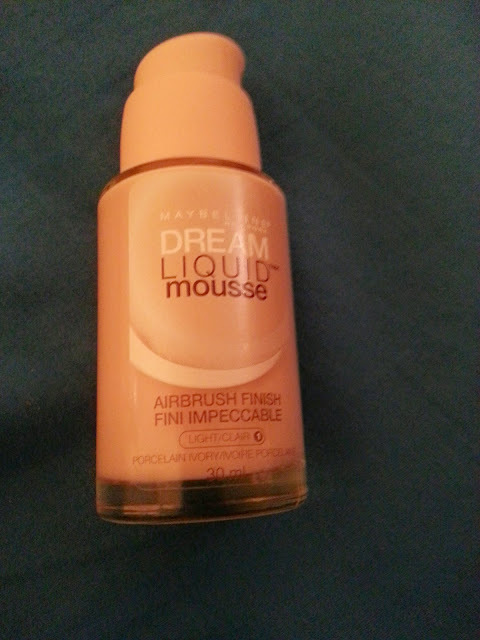 I did a quick google search for drugstore foundation for dry skin, and Maybelline Dream Mousse kept popping up. I figured it doesn't hurt to try and made a note to pick one up next time I could. I first picked up Dream Liquid Mousse with Airbrush Finish in the colour porcelain ivory. Since I am so pale, it is difficult to find the right shade for my skin. 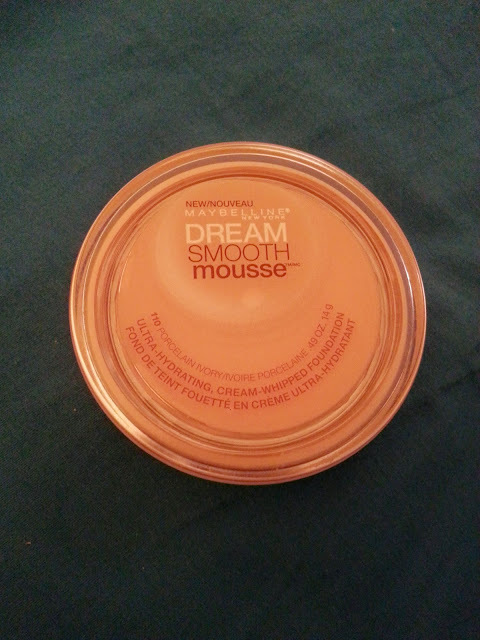 The formula is a little like mousse, but more like any other average foundation. I found a lot of product does come out with one pump. The colour seemed to be okay, however I found it did begin to oxidize into an orange shade. What I liked about the bottle was that the lid can be turned for open, then turned back to lock it closed. So theres no need to worry about ypur foundation splattering anywhere. The downside was that it didn't give an airbrush finish, infact it made my skin look very oily. My skin is dry, and found while it did look oily, it also clung to my dry patches. Not very nice. I then remembered that I saw a compact version that has a matte finish. I decided to google a little more and discovered that the compact also comes in a smooth finish. I placed an order and received it very quickly! I also read good reviews about the compact. It claims to be ultra-hydrating, cream whipped foundation. I also ordered this in the same shade (porcelain ivory) and couldn't wait to give it a try! As you can see above, the lid screws off. 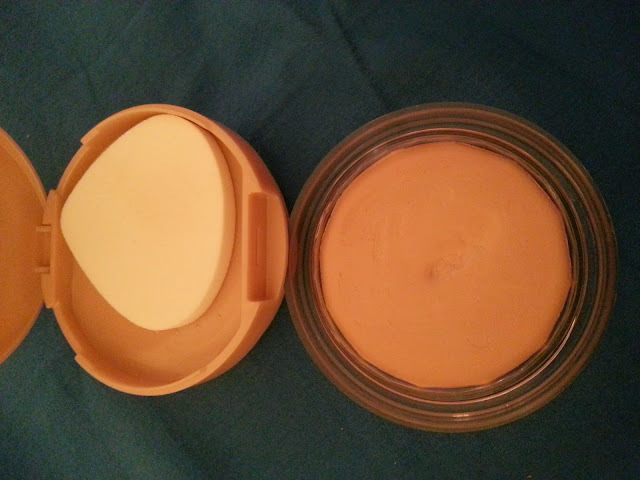 It also has a lid that opens with a mini sponge for you to use to apply your foundation. I usually just use my fingers, so the sponge was unnecessary for me. The foundation itself looked like it wasn't creamy, and that I might have a difficult time applying it. I had flashbacks to other foundations like this, that only made my skin look worse. I gave it a try anyway and I was pleasantly surprised. The texture is so creamy, and it does feel like its whipped. You can use as little or as much as you wish. The foundation is so smooth, and guess what! It didn't oxidize like its liquid friend. It also didn't make my skin look like an oil slick. 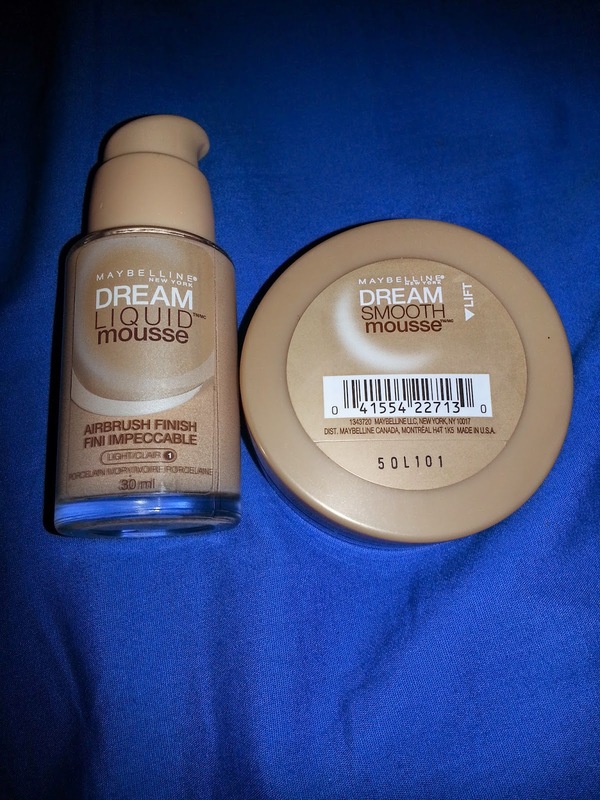 Between the two, I very much prefer the Maybelline Dream Smooth Mousse. I love how creamy it is and it doesn't turn orange on my skin. It also is very build able coverage.